When did you last check to see if your current security conditions meet minimum expectations? Every year, does your organization struggle to find the resources to complete required security audits? Do you need a clear, concise summary of why changes to your security program matter? No one looks forward to being audited. But an expert analysis of your security compliance does not have to be antagonistic. BPS has provided security audit services to countless clients who have come away not only pleased with the results, but also better informed about best security practices because BPS uses audits as teaching opportunities. Whether a regulatory agency requires you to perform an annual audit, or you want to ensure your security is consistent with corporate expectations, BPS is here to help. Get peace of mind with an expert security audit today. Security audits take an intentional look at what an organization believes is being delivered, and evaluates that against what it is actually getting from its security program. 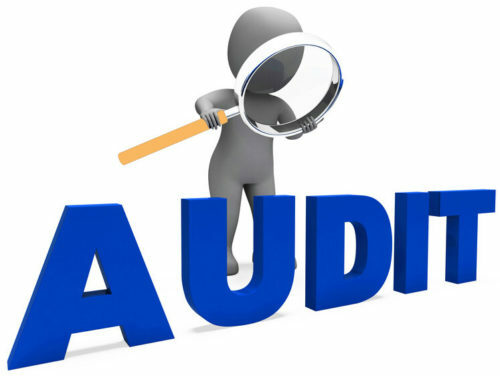 Why hire a consultant to perform a security audit? We understand our clients come to us for a variety of reasons. Still more corporations with multiple sites undergo audits to ensure their security expectations are being implemented consistently. Are you sure your security practices comply with corporate expectations and mandated regulations? Contracting with outside experts like BPS means that you have an extra set of hands to objectively assess all of your sites with the same set of standards. Our independence means that we can offer guidance about how to implement consistent security improvements. Let us help you see where you can prevent crime with a professional security audit. Contact us now. Our experts know how to perform an audit that will give you a clear understanding of how your security program is – or is not – performing. BPS knows it doesn’t help to nitpick about issues that are not relevant to the bigger security picture. Our audit experts will let you know why certain security program details matter. We have helped many clients make significant and impactful changes based on our audit findings. Key to our successful security audit services is our process. Our independent, board certified security consultants identify a wide array of potential opportunities for improvement by using a thorough, physical security risk assessment checklist that adheres to our proprietary vulnerability assessment methodology. And BPS can give you clear, concise reports that will be easy for both internal legal and regulatory compliance reviewers as well as corporate security experts to understand. Don’t wait to ensure your security expectations are being met. Get started with a BPS security audit today.